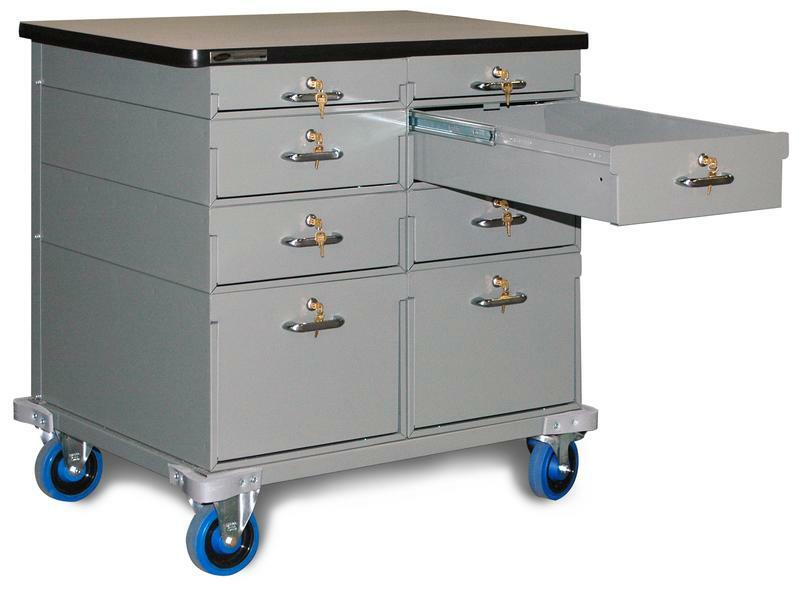 A mobile drawer unit can be created using any of the (6) sizes of drawers we offer. Providing they have the same length, they will bolt together and can be placed side by side on a mobile dolly. We will then top off the drawer unit with any of the 1 1/4" thick work surfaces we offer. All mobile units have solid rubber corner bumpers and (2) rigid, and (2) swivel casters with brake, and push handle.